With the heat rising everywhere, it’s time to bring in some ice. Some beautiful, well designed, sleek, dragon ice. Cecilie Fritzvold has brought us this lovely beast. I like the trans-blue highlights. 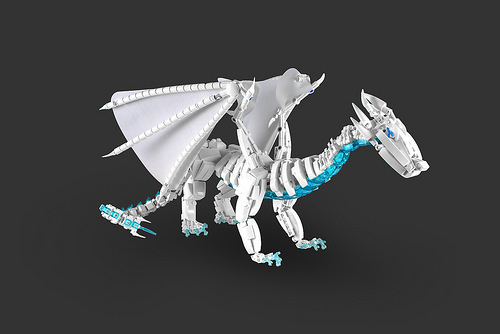 The bone-like ridges add great texture to the dragon’s body, making it look particularly dangerous.